If you landed on this recipe, that means you’re having steak for dinner tonight. What’s the occasion? Birthday? Anniversary? Promotion? Just because? Dang, we’re jealous. 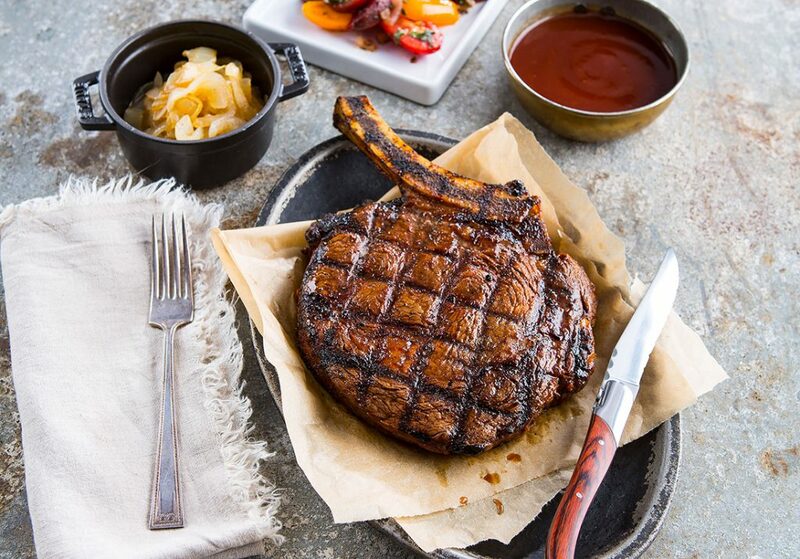 Next time you make an Insanely Delicious Grilled Ribeye Steak, how ’bout you invite us? Obviously, the first step here is getting a big, juicy, delicious piece of steak. When shopping for a ribeye, you’ll need to decide how much you’re willing to spend. Choice ribeyes are definitely more flavorful but can be costly. Look for a steak that has a nice, rich red color and a bit of marbling. Cheaper, less tasty steaks will be pinker and dull looking. Where Does Insanely Delicious Grilled Ribeye Steak Get Its Name? Since the meat is the hero, there’s not a ton you need to do to dress it up. But one thing is key: a balanced seasoning. Our Insane Steak Cracked Pepper Seasoning may look like a simple seasoning, but trust us, there’s a lot of flavor going on in that bottle. Insane Steak Cracked Pepper Seasoning combines rosemary and basil with unexpected flavors like tomato and orange peel zest. One common mistake that can ruin a ribeye is over-seasoning. Make sure you use only using 1 1/2 tablespoons of Insane Steak Cracked Pepper Seasoning per 1½ pounds of steak. Nobody wants an overly salty steak. As for the grilling itself, resist the urge to move the steaks too soon after placing them on the grill. They will naturally release from the hot grate after a few minutes. 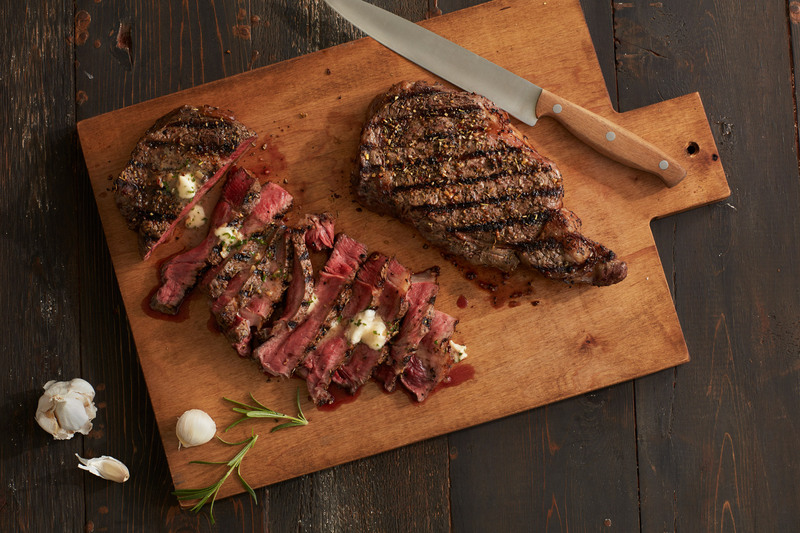 To create crosshatch marks, rotate the steak one-fourth turn halfway through the grilling time on each side of the steak. If flare-ups occur during cooking, move the steak to a cooler part of the grill temporarily. This will keep the meat from getting charred. 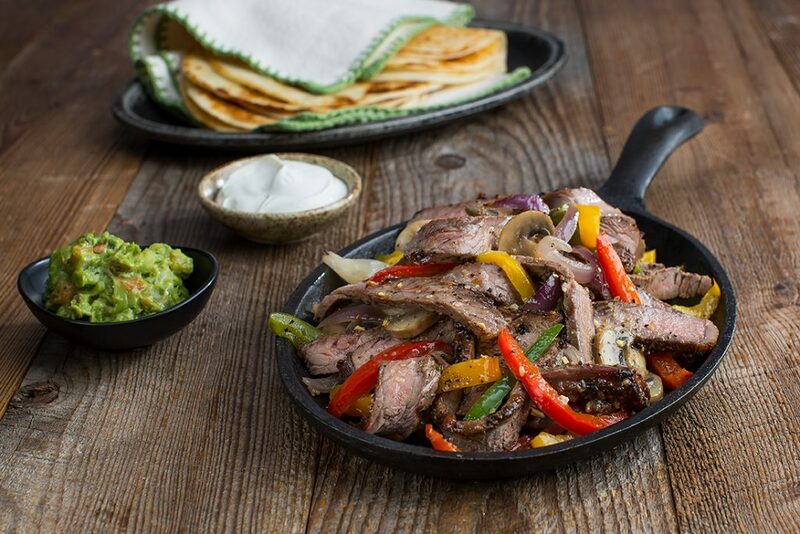 If you’re a fan of tasty steak recipes, try our Insane Balsamic-Marinated Steaks with Vegetable Packets. 1.) First, you will make the steak butter which will take your steak from good to unbeatable. Allow the butter to come to room temperature, then thoroughly mix in garlic, Worcestershire sauce, soy sauce, and parsley. Place butter in a piece of plastic wrap and roll into a stick about an inch wide. Twist the ends tight to form a tube with the butter. Place the butter in the refrigerator to chill. Pull your steak out of the refrigerator and allow to come to room temperature while the butter is chilling. 2.) Meanwhile, preheat your grill to medium-high heat. 3.) Coat your steaks with oil and then evenly shake on Cracked Pepper Seasoning. Place your steak on the grill and cook to desired level. Remember that each level of doneness has a temperature associated with it. Invest in a good thermometer and take the guesswork out. 125-130°F = Medium Rare, 130-135°F = Medium, 140-145°F = Medium Well, and 155-165°F = Well Done. 4.) Remove your steak from the grill and allow to rest for 5 minutes. Slice in 1/4 inch slices and fan out on desired serving plate. Place thin slices of steak butter on top of sliced steak and serve immediately.